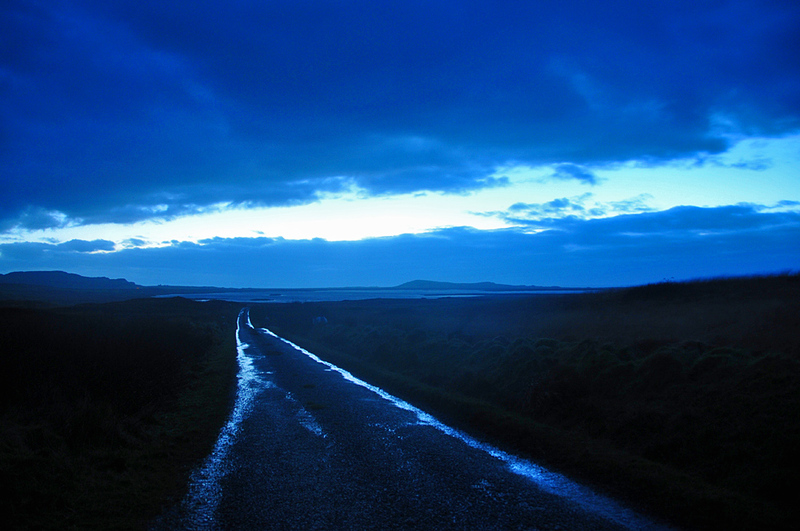 A view from the road between Gruinart and Loch Gorm after some heavy rain over the west of Islay. Some very heavy rain had just stopped and the clouds started to break while some of the rain water was still running down the sides of the road. This entry was posted in Cloudy Weather, Freshwater Loch, Landscape, New Post and tagged Gruinart, Kilchoman, Loch Gorm by Armin Grewe. Bookmark the permalink.